Just a quick post today to share a card I made using some stamps from Reverse Confetti. I hope you like today's fun little card. 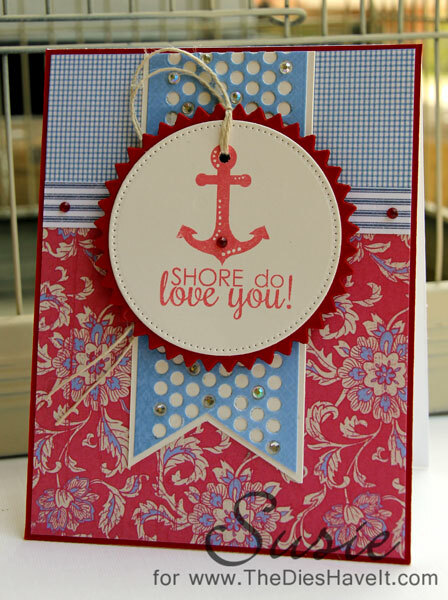 The anchor and the sentiment are both from the Reverse Confetti Happy Harbor set which you can find right here. Even though the summer is winding down, I still like using the nautical theme. I am even thinking about how to use it with fall and winter colors soon. Be sure to check out the Reverse Confetti blog and store. You will be very inspired by all the talent you will find there!